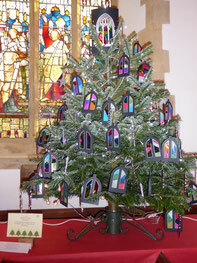 FOSP sponsored a tree for the Stoke Fleming Christmas Tree Festival again this year. 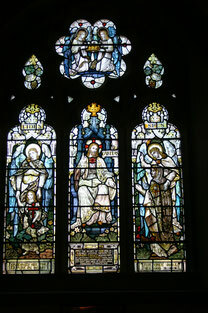 The theme was "Windows" to celebrate the successful project to renovate the 4 most severely corroded of the stained glass windows in the church. The last of the first group of 4 stained-glass windows to be renovated came back today. 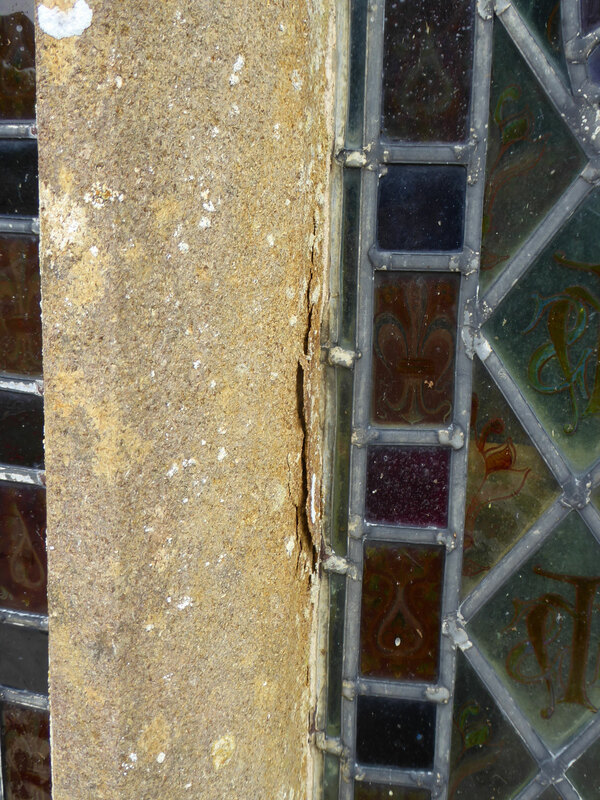 The windows on the south side of the church were the most badly corroded by the damp sea air. 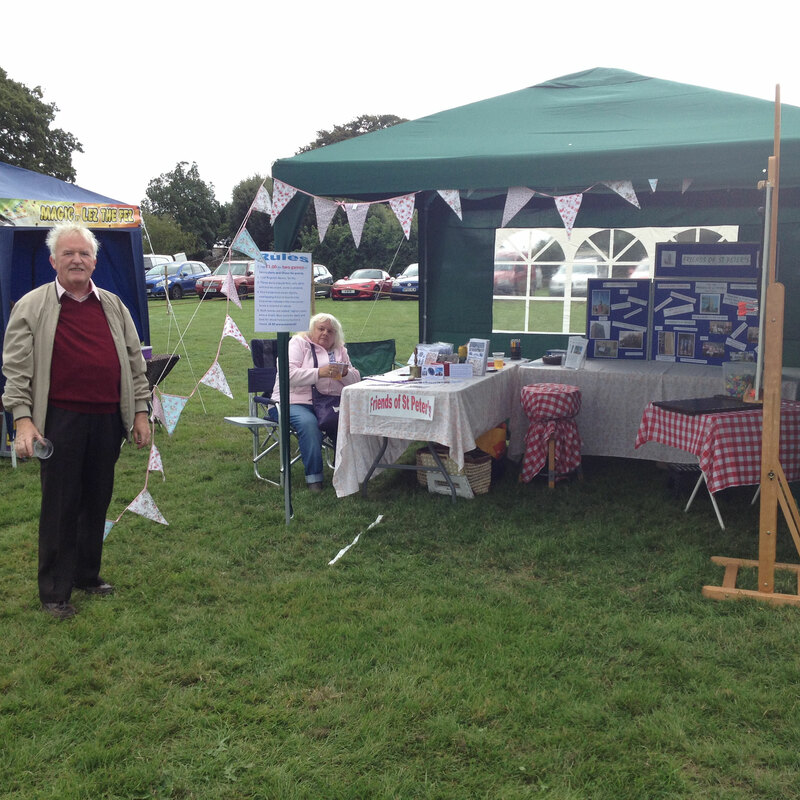 FOSP contributed £8,000 towards their repair and restoration. 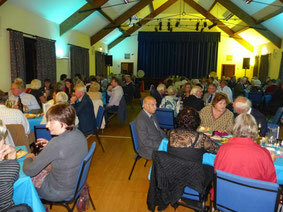 Almost 130 people attended the fundraising event "Persia Past to Iran Present" in the Stoke Fleming Village Hall. They were treated to a magnificent spread of Iranian "mezes", provided by Edmond Davari - an Iranian restaurateur from Plymouth, and a fascinating talk by our own Peter Barker about his recent visit to Iran, illustrated with his beautiful photographs. 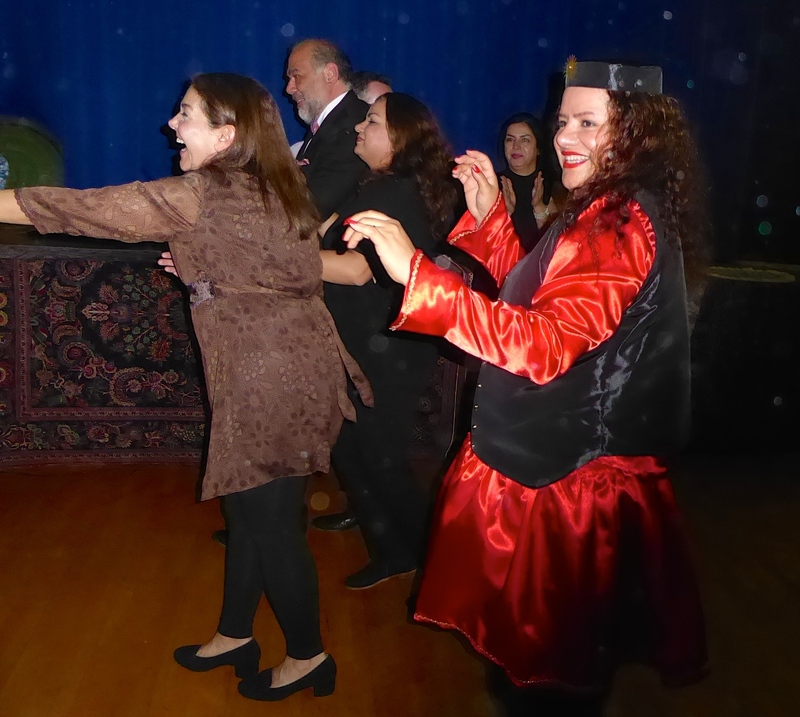 The evening concluded with a demonstration of Iranian dance followed by enthusiastic participation by many of the diners. 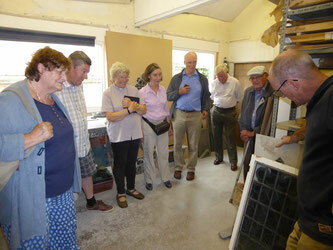 A group from the Village, comprising members of FOSP and the Parochial Church Council, visited the Heritage Glass workshop in Newton Abbott. Bob Tucker explained the process of repairing and restoring stained glass windows and showed us progress on work on our own windows. 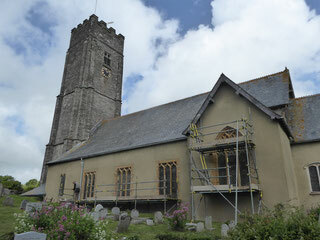 Scaffolding has now been erected on the south side of the church in preparation for the repair of the stained glass windows in that wall. 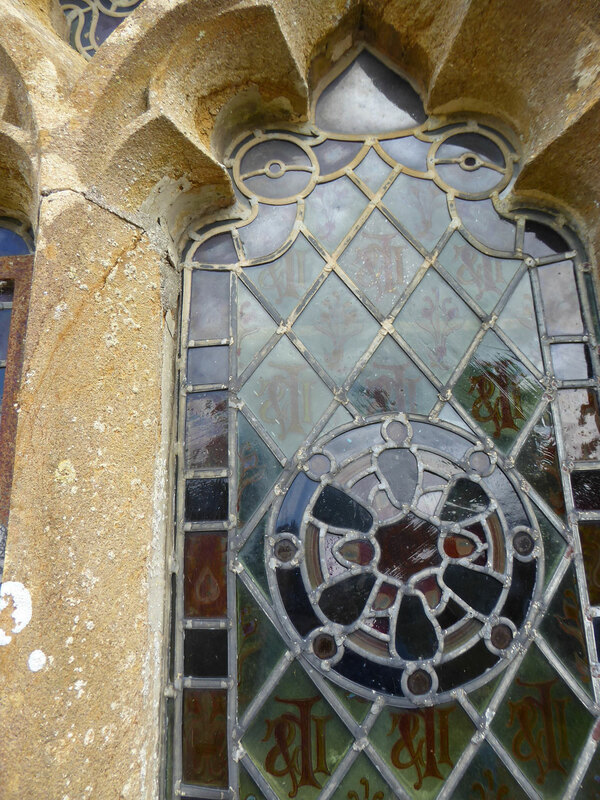 The photographs below show the state of the stonework and the bulging of the stained glass. This indicates why the work is necessary. 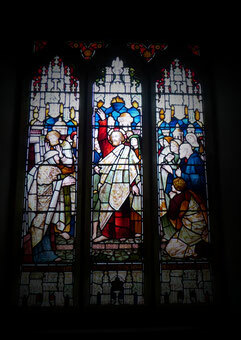 At the AGM the Friends agreed to donate up to £8,000 towards the cost of renovating four of the fine stained-glass windows on the south side of the church. The iron supports are starting to corrode and the stone surrounds are breaking down. These four windows are the ones in most urgent need of attention. We hope the work will start in June 2017. This year we are looking to appoint two additional committee members at the AGM, to assist in running the Friends organisation and planning our fundraising events. If you think you would be interested in helping with this valuable role please contact the Secretary as soon as possible for more details; a short application form can be downloaded from the link below. The closing date for applications will be 7 April. The worthy winners of the FOSP Quiz in November claimed their prize today. 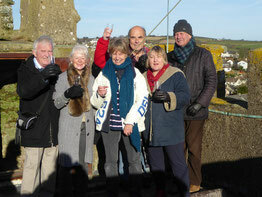 They had a tour up the church tower to see the new bells and learn about the work that was done in the project, culminating in a glass of mulled wine on the tower roof admiring the magnificent view on a sparkling winter's day. 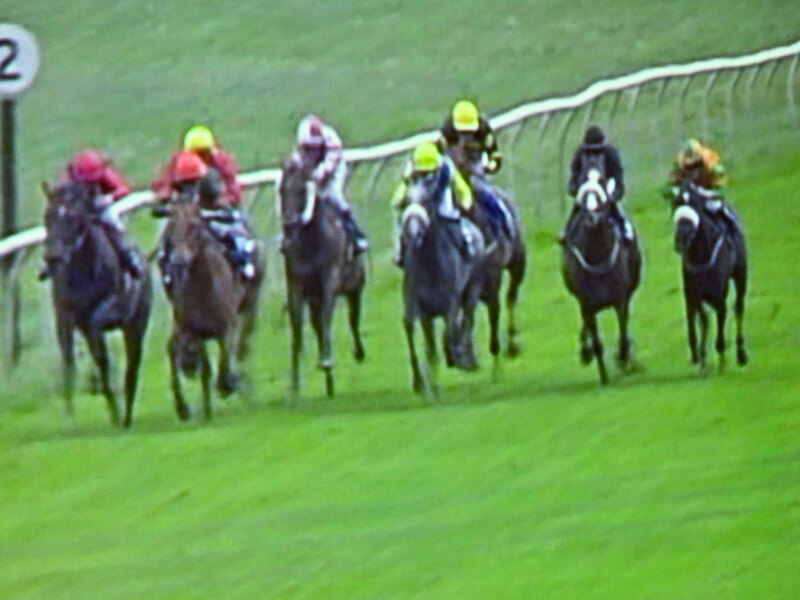 This was followed by a drink and lunch at the Green Dragon, also subsidised by FOSP. A good time was had by all.